Turkish soldiers and local people of Dersim region. The women and children in this picture were murdered shortly after the picture was taken. The 20th century was one of the most destructive eras in Kurdish history. While you may be aware of the current Kurdish-Turkish conflict, such as Turkey’s recent attacks on Afrin, Syria, most of you probably don’t know of their historical campaigns against the Kurds, and other minorities for that matter, until now. Although my focus here is the brutality that Kurds have suffered since the birth of modern Turkey, especially during the Zeylân and Dersim massacres, it’s worth mentioning that the Kurdish-Turkish conflict actually emerged during the Ottoman Empire. I’ve also put together a brief introduction below containing some background information about the post-World War I situation of the Kurds, which you may find helpful. After the end of World War I, a pact was created in 1920, known as the Treaty of Sèvres, between the Allies and the representatives of the now collapsed Ottoman Empire. As part of the settlements within this treaty, an autonomous Kurdish state was to be established, with the possibility of future independence, in some of the predominantly Kurdish regions of the Middle East which the Kurds have belonged to for thousands of years. This included regions in south-east Turkey, also known as Northern Kurdistan. In the 1920’s and 30’s, numerous Kurdish rebellions occurred in response to the government’s ethnocidal schemes. As you will see, this defiance was harshly dealt with by Turkish authorities. Essentially, this law ensured that there would be no prosecution of Turks who were involved in slaughtering countless Kurds. The government’s objective was to ‘clean’ Kurdish areas of their inhabitants, and the Zeylân massacre is an example of this. There are various eyewitness accounts of the massacre from surviving Kurds and Turkish soldiers who were involved. Collectively, these accounts detail how the soldiers had shot, stabbed, beaten, and burnt to death thousands of Kurds; how they had cut open pregnant women and removed their unborn babies; how they had skinned villagers alive; and how thousands more were killed by machine gun fire, causing blood to flow out of the valley for days. Many of the surviving Kurds had hidden under corpses during the massacre. At least 44 villages had been burned to the ground and between 15,000 and 47,000 Kurds had been killed or disappeared, according to local and official sources. At the end of the massacre, the Zeylân valley was ‘filled to the mouth with corpses,’ as the Cumhuriyet announced on 16th July 1930. By mid-September that year, the Ararat Rebellion had been crushed and the young Kurdish Republic of Ararat was disbanded. As I mentioned in the intro, it was the Turkish government’s aim to assimilate (Turkify) the Kurds, as well as other minorities, into Turkish culture and entirely destroy the Kurdish identity. To that end, Kurdish language, folklore and dress had been banned, along with the words ‘Kurd’ and ‘Kurdistan.’ On top of this, the government passed the Resettlement Law and the Surname Law in June 1934. Essentially, the Resettlement Law allowed for the destruction of Kurdish villages and migration of their inhabitants to areas of the country in which Turkish culture and language was predominant, where they would be forced to integrate; the Surname Law banned the use of non-Turkish surnames and demanded that the Kurds adopt Turkish surnames. Dispersing millions of Kurds as the government saw fit was an ambitious plan, and one that mostly failed because it was unrealistic in practice. The collective measures that were employed for the purpose of Turkification were, as can be expected, met with much resistance. The most defiant region was Dersim, an area that the government had previously failed to exert greater control over on several occasions. It had, by now, attracted most of the their attention. At the end of 1935, the region’s name was changed from Dersim to the Turkish name of Tunceli. In 1936, roads and bridges were built in Dersim for military access, and military stations were installed in tactical locations. Dersim had been placed under martial law. However, military action did not properly begin until 1937, when authorities were certain that a rebellion led by Kurdish leader Seyîd Riza was imminent. In March, the army began its offensive after telephone lines were cut and a bridge was burned by rebels. Troops were sent in to arrest suspected Kurdish leaders but they were faced with prolonged resistance from armed tribesmen who refused to give up their leaders, resulting in a subsequent increase in the army’s efforts. Kurdish leaders sent emissaries to plead with the military governor to leave Dersim alone, and to let them manage themselves, but the governor refused and had the emissaries executed. The Turkish army, with over 50,000 troops, slaughtered men, women and children indiscriminately yet again. Bombs were dropped from the skies and entire villages were burned down and destroyed. The grounds where homes once stood were burnt with kerosene so that they could not be returned to. Families that escaped and hid in caves were killed en masse with chemical weapons, or with the burning of wood at cave entrances to suffocate them. If these measures didn’t work, the caves were demolished with explosives or sealed up, leaving those trapped in there to die. Many girls and women were tortured and raped, and others had avoided capture by throwing themselves off of cliffs. Those who surrendered were gathered together; the men were shot on the spot while women and children were locked in hay sheds that were then set on fire. Even young men from Dersim who were off doing their military service in the Turkish army were killed. When winter arrived, the army was unable to continue due to the harsh weather. The rebels were offered a ceasefire and peaceful settlement, including compensation for Dersim. The monumental damage that Dersim and its people had suffered, coupled with the weather conditions, led to Seyîd Riza’s surrender. Riza was arrested and executed along with other rebels, yet this was not the end of the bloodshed. Once spring came and the weather cleared, the army resumed its operations, and they were even more devastating than before due to their use of poison gas. When the government announced that they’d pardon all Kurds who gave up their weapons, several tribes did so but they were killed anyway. According to current Turkish President Recep Tayyip Erdoğan, over 13,000 people had been killed in Dersim, though this number is undoubtedly too low as most other sources collectively report between 40,000 – 70,000 deaths and disappearances. Furthermore, between 3,000 – 14,000 people were forced to migrate from their homes in Dersim. 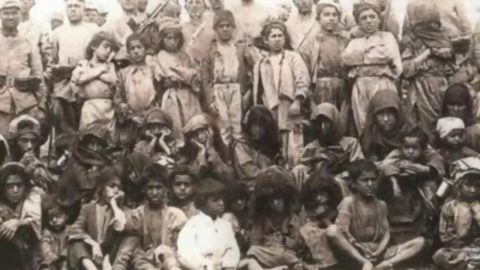 Many Kurdish children who survived the massacres were sent to boarding schools or given to Turkish soldiers and bureaucrats to be Turkified. So why is it that Zeylân, Dersim and other Kurdish massacres are not more widely known? There are a number of reasons for this; cover-ups by the government and inaccessible official historical records are largely to blame. In an effort to keep these damning events concealed from the outside world, foreigners were banned from travelling to the Kurdish regions until 1965, which of course greatly contributed to the lack of international publicity. After many decades of state-sponsored ethnocide and, at times, genocide, is it really difficult to see why the Kurdistan Workers’ Party – more commonly known as the PKK – was formed in the late 1970s? Turkey has always condemned the PKK as a terrorist organisation, which I find quite ridiculous coming from a nation that has brutally oppressed and massacred its minorities since the very beginning. The PKK arose in retaliation to the government’s cruel policies with the initial goal of establishing an independent Kurdistan, though this later changed to securing equal rights and autonomy in the Kurdish regions of Turkey. This is why they have been fighting the state for decades. In my experience, although most people are aware of the current Kurdish-Turkish conflict, they don’t know why or how it began. This is mainly why I created this post. By familiarising yourself with the history of Kurds in Turkey, you are in a better position to understand and have an informed opinion on the conflict today.